Public transport is the best and easiest way to get to and from the Park, either by train, underground, bus or cycle. The M25 is only a 25 minutes drive away. There are 111 Pay & Display car parking spaces in the car park located next to the London Aquatics Centre. Otherwise, there is plenty of parking available in nearby Westfield. On occassion, services may be disrupted due to events across Queen Elizabeth Olympic Park. Check the latest visitor information ahead of your visit. The Olympic Stadium is now home to West Ham United. There are no expected service impacts at the London Aquatics Centre or Copper Box Arena due to West Ham home games*. However, we'd recommend allowing extra time to travel to the venue during fixtures as some access routes will be affected and it'll be busier than normal before kick-off and after matches. To view upcoming West Ham fixtures, click here. We’re sorry for any inconvenience you experience. We’re working closely with the Stadium and West Ham to minimise disruption to our customers and will be reviewing the travel arrangements regularly. There are 111 Pay & Display parking spaces in the car park. The entrance to the pools is on the lower level on the river side. Steps and lifts are past the main pool building which will be on your left. Please note that only cash payments are accepted. Charges will apply from 7am and after an initial five minute grace period of the vehicle entering the car park to allow for drop-offs, The car parks are for venue users only, and non-venue users will be charged £45. A Better member is anyone with a Better membership in Queen Elizabeth Olympic Park at the London Aquatics Centre or Copper Box Arena. Better memberships include: Better Health & Fitness members, Better Swim members, Better Gym members, Swimming Lessons members, Swim School members, Healthwise members, Pay & Play members, Tom Daley Diving Academy members and all Adult, Junior, Student, and Concession memberships types. 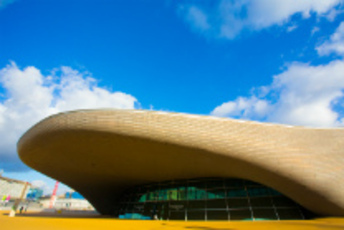 All users registered with the London Aquatics Centre and the Copper Box Arena who wish to take advantage of the reduced rates should email their full name, membership number and vehicle number plate to legacy.venues@gll.org with the email subject line ‘Member Car Registration’. There is a limit of one vehicle registration number per member. The registration number will be logged on the automatic number plate recognition system, and the reduced rate will be offered when you use the payment terminal. 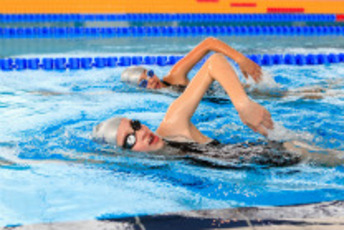 The London Aquatics Centre is fully accessible with accessible changing rooms, toilets and nearby accessible parking spaces. We have been working with Disabled Go to create an online access guide for the Copper Box Arena. To view the guides, please click here. 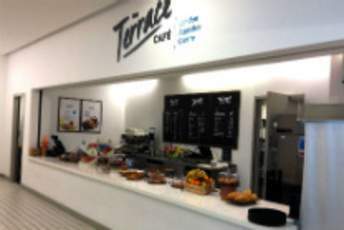 We're open everyday, from 6.00am - 10.30pm.